A true captain only drinks his tea from this mug! The life of a starship captain is not always as easy as you might think. In addition to dealing with hostile aliens, you also have to manage the various quirks of your crew. And trust us, that can seriously stress you out. It's understandable that even the most seasoned veterans need a cup of tea from time to time in order to stay calm. Which kind, you ask? 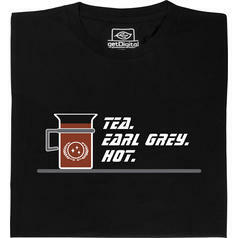 Earl Grey, of course. And it better be hot! 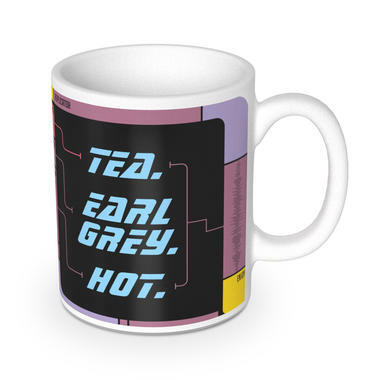 If you want to join the ranks of classy captains, the Earl Grey Mug will allow you to do so and hold your very own replicator in your hands. 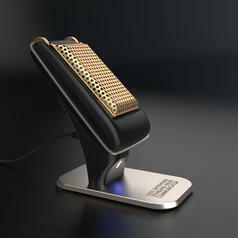 While it is set to Early Grey, you still need to manually pour tea into it since the technology is still in development. Of course, you can also drink coffee or hot chocolate from it ... although a true tea connoisseur would never do such a thing!